The South Central AETC is very excited to launch their newest site, in partnership with Access Health Louisiana (AHL). AHL makes up the largest network of Federally Qualified Health Centers in the state, with more than 90 providers. Together they see over 41,000 individual patients each year, uniting behind a simple yet powerful mission: to improve the health of the people we serve. The AHL AETC will continue to offer a mix of in-person and webinar-based trainings, preceptorships, and technical assistance. They will also build upon their specific areas of expertise, namely, utilizing data to target their outreach, utilizing technology to build impactful trainings, and continuing to focus on the Social Determinants of Health. Social determinants are aspects such as poverty, illiteracy, homelessness, and high rates of incarceration, factors which not only challenge an individual’s access to essential healthcare needs, but which combine to create consistent levels of stress and increased incidents of trauma. These have been shown consistently in modern research, in and of themselves, to create significant inequity in health outcomes, and are particularly relevant to the practice of effective HIV Medicine. Please reach out to discuss any of your HIV training needs. We would be more than happy to help. Prior to attending medical school, Dr. Dery completed his Master's Degree in Public Health, focusing on poverty in resource poor countries. Following his completion of medical school, Dr. Dery went on to complete his residency in internal medicine at Case Western Reserve University, where his research and medical focus was on the influence of poverty on health. 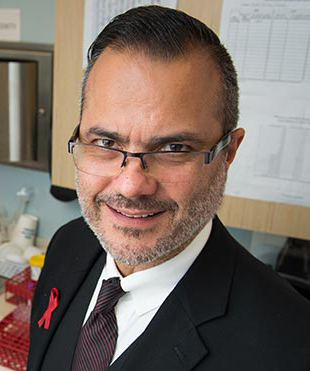 After completing his training in infectious diseases at the Tulane University School of Medicine in New Orleans, Dr. Dery joined the Tulane faculty, where he focused on researching and addressing the social determinants of health, particularly as they relate to HIV/AIDS. Dr. Dery now serves as Medical Director of the Ryan White funded Access Health Louisiana (AHL) Pythian Clinic, Director of the AHL AETC, and also fills the role of Chief Innovation Officer. Recognizing that 20% of people living with HIV are unaware of their HIV diagnosis, Dr. Dery has also worked to develop new HIV testing strategies, including hosting music concerts where band members are tested live on stage. He is also the founder and Executive Director of the radio station, 102.3 WHIV-FM, whose programming is dedicated to human rights and social justice. Following his graduation from UCLA with a degree in Development, Graham Patterson spent six years focused on building new programs and partnerships in the social sector. In 2013 he returned to school in order to pursue a master's degree in Public Policy, which he completed with honors in 2015. Graham has an enthusiastic and inquisitive personality and a love for data-informed solutions. These interests serve him well in his role as Program Manager. In his free time you'll find him reading the news, cooking, or planning for his next trip - ideally to a spot with scuba diving. Robin completed her Bachelor’s degree in Biology at Xavier University of Louisiana in 2013. After completing her degree, she pursued a Master’s of Public Health at the University of Oklahoma Health Sciences Center. During this time, she developed a deep passion for raising awareness of public health concerns within her community, especially focusing on underserved populations. Following completion of her MPH this passion led her to pursue a Master’s of Biomedical Science at William Carey University, which she completed in 2017. Along with being a lifelong-learner, in her spare time, Robin enjoys painting and volunteering.